Copay accumulator leaves patients unable to afford the medicines they need. Many insurance plans, employers and pharmacy benefit managers (PMBs) are limiting access to essential medicines to treat HIV, Hepatitis C and other serious diseases. Some plans are preventing manufacturer co-pay assistance contributions from counting toward a beneficiary’s deductible and maximum out-of-pocket spending limits. Copay accumulator or accumulator adjustment programs are relatively new policies used by some pharmacy benefit managers and insurers to prohibit consumers from using manufacturer copayment cards or other forms of manufacturer assistance to pay down a patient’s deductible or out-of-pocket maximum. This policy change is being implemented with no prior notice to consumers. They often find out about the change after they have incurred steep prescription bills that they legitimately assumed would be ameliorated by the co-pay assistance contributions, as they have in the past. This can leave patients unable to afford the medicines they need. As someone with expertise in HIV care, I know that uninterrupted adherence to an antiretroviral regimen not only preserves the health of someone living with HIV but also lowers the amount of HIV in the person’s blood to such an extent that he or she cannot transmit the virus. If HIV is undetectable in a patient’s blood (as a result of taking medication), they are unable to transmit the virus to others. But this only occurs if the person stays on the prescribed regimen consistently, without interruption. The CDC and the FDA have also recently verified that HIV negative people can be protected from HIV by taking an antiretroviral regimen known as Pre-Exposure Prophylaxis (or PrEP). Daily adherence to PrEP without interruption reduces a person’s risk of HIV acquisition, if exposed, by up to 99 percent. Antiretroviral drugs – when consistently used as prescribed – can essentially stop the transmission and acquisition of HIV. But the imposition of co-pay accumulator programs put the price of antiretroviral drugs out of many consumers’ reach – thus compromising both patient health and public health efforts to end the epidemic. Even for people with private or employer-based insurance, medication costs are an increasingly serious limiting factor for health care. In place of “first dollar coverage” for prescriptions, plans increasingly require customers to both meet sizable deductibles and then pay co-insurance rates as high as 50 percent after the deductible is met. Some consumers now have the added distress of finding out (without warning) that the value of the manufacturers’ co-pay assistance cards – on which they relied to make ends meet -- are no longer applied to their deductible. 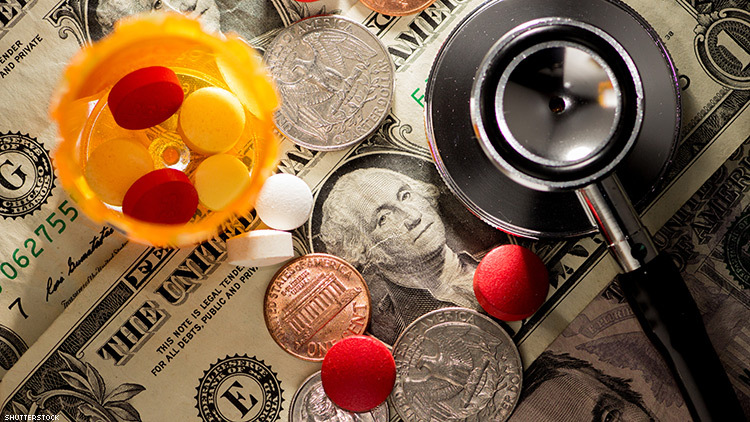 For many, the loss of co-pay assistance renders them unable to afford their daily medications. Since no generic alternatives are available for most HIV drugs, the impact of this development for people with or at risk of HIV is most threatening. Most insurance plans have not adequately informed their beneficiaries of the existence of co-pay accumulators and the fact that they may be able to avoid them by choosing not to use specialty pharmacies and going, instead, to brick-and-mortar pharmacies where the co-pay accumulator practices do not apply. That strategy, unfortunately, is not possible under all insurance plans. Without this information and advance notice about co-pay accumulators and how they work, consumers are at high risk for experiencing gaps in therapy and financial harm due to these arbitrary and discriminatory practices. For more information on this, please contact the American Academy of HIV Medicine. You can reach the Academy’s Director of Public Policy, Anna Forbes, by e-mail at [email protected] or by phone at 202-659-0699, ext. 18.